On a lovely fall day September 26, 2015, Asteria and Mike tied the knot. 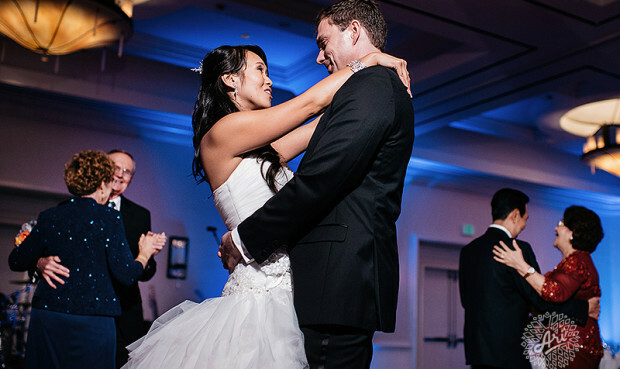 Pictured above you have the couple’s first dance. 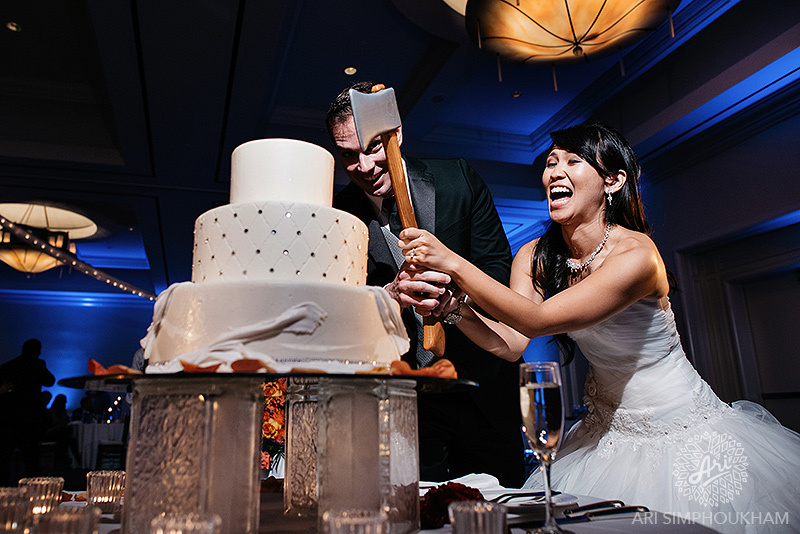 It was a true joy for us at Bliss Entertainment to service their wedding! 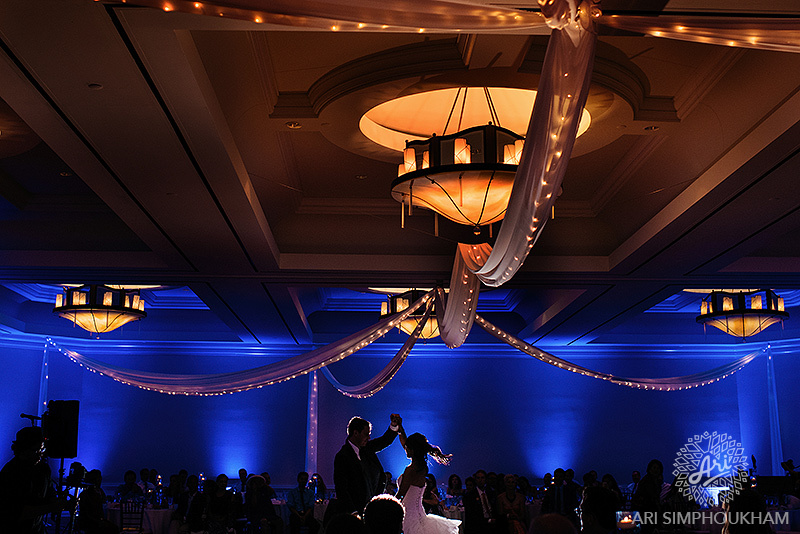 The uplights were set to cast a blue light on the room with contrasted nicely with the orange-hued chandeliers. We installed and custom designed ceiling drape along with twinkle lights to create a stunning, elegant effect in the grand ballroom. We also provided a full-service photo booth to keep their guests entertained and delighted as the night wore on. 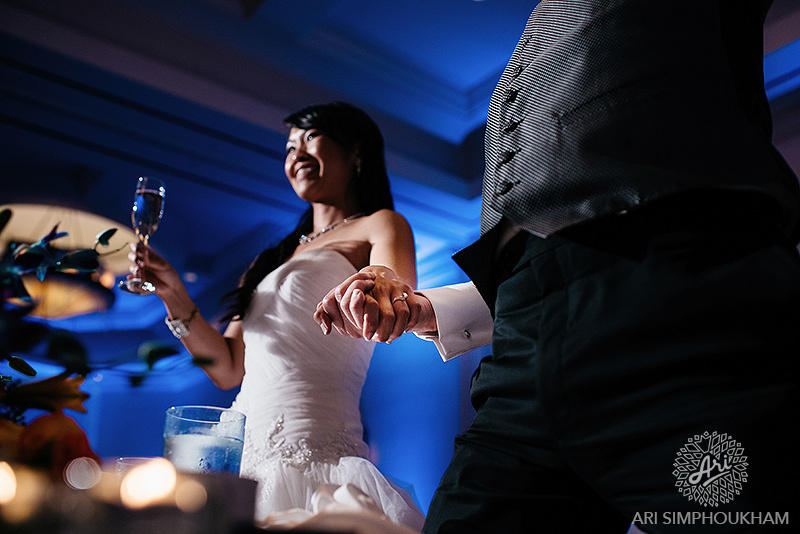 Along with the amazing photographs taken by Ari Simphoukham, our newlywed couple is sure to remember their special night forever!